Having high levels of cholesterol can potentially lead to cardiovascular complications such as heart disease and stroke. 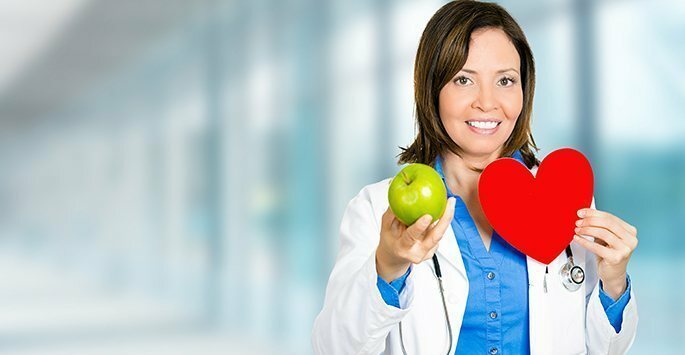 At Cardiology Consultants of Southwest Florida, our medical team has several years of experience with cholesterol management and can help you restore your cholesterol to healthy levels through diet, exercise, and other methods. Contact Cardiology Consultants of Southwest Florida today at our location in Fort Myers to schedule a consultation and find out how to effectively manage your cholesterol for long term health. HDL: Considered the “good” type of cholesterol, HDL carries cholesterol from other areas of the body back to the liver, where it is removed. LDL: The “bad” type of cholesterol, LDL, can lead to clogged arteries if levels are higher than normal and left unmonitored. This can restrict blood flow through the heart and potentially cause cardiovascular issues. Both types of cholesterol are necessary in order to properly carry out the body’s functions, but they should be maintained at levels that are healthy for your cardiovascular system. High levels of cholesterol, especially LDL, often cause no symptoms until serious medical concerns develop. Having high levels of cholesterol in the blood can potentially lead to coronary heart disease, which is a buildup of plaque in the arteries. The plaque can harden over time, constricting the flow of oxygen-rich blood to the heart and possibly causing a heart attack. Hardened plaque can also rupture, potentially causing clots. Having higher types of HDL can actually lower the risk of these cardiovascular diseases, but these levels should be monitored by cardiology physicians such as our experienced medical team. At Cardiology Consultants of Southwest Florida, we specialize in the cardiovascular system and in helping you improve and maintain your cardiovascular health. Advanced cholesterol testing may first be utilized in order to determine your exact levels and diagnose a cholesterol management plan that most effectively improves your cardiovascular health. Adjustments to your cholesterol management plan can be made through follow up appointments and regular cholesterol testing. Contact Cardiology Consultants of Southwest Florida today to schedule a consultation and find out how to improve the quality and quantity of your life with professional, physician-directed cholesterol management.